Ironflex frames for exteriors allow concealed windows, shutters, gratings and fly screens to slide in and out whenever necessary. This enhances their practicality, visual appeal and security to maximum levels, at the same time guaranteeing more rational use and exploitation of both internal and external space. 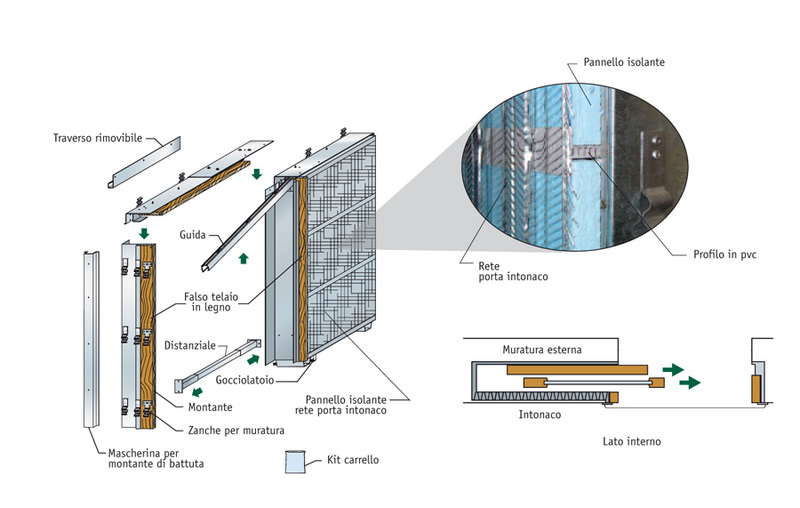 The range is divided into two main families: structures for installation between two wall sections (e.g. As Fig. 1) structures for installation against an exterior wall and directly plastered on the interior, fitted with a metal mesh to support the plaster, an insulation panel and a counter-frame for the installation of the internal fixture (e.g. FsAs Fig. 2).